Bellow Skirts For Mobile Scissor Lift Tables / Trolleys. 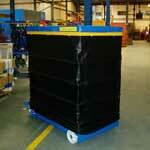 UK made bellow skirts specifically for our single lift, double lift and triple lift mobile scissor lift tables. 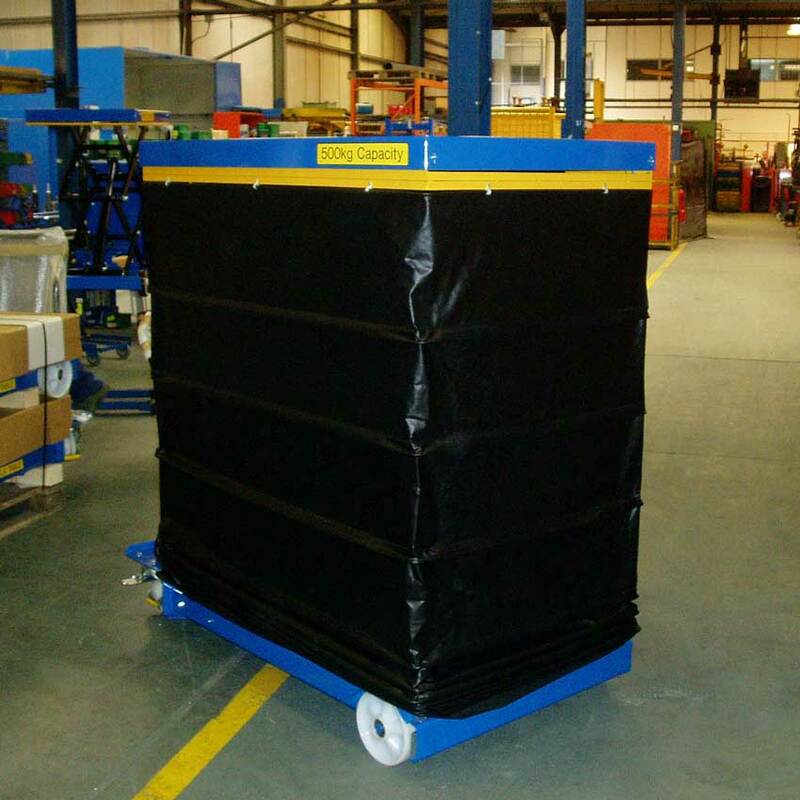 These bellow skirts are designed to help minimise any safety risks to employees by protecting the scissor mechanisms, this prevents employees from accidentally getting hands, feet or clothing caught during operation. These bellow skirts are hand stitched specifically for our scissor lifts.